It's the year punk rock was born, Concorde entered commercial service and a tiny Romanian gymnast changed the sport forever. 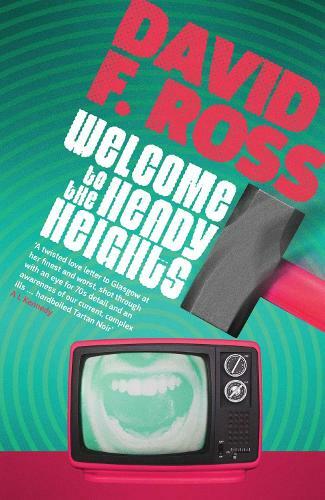 A hilarious and poignant nod to the elusivity of stardom, in an age when making it' was `having it all', Welcome to the Heady Heights is also a dark, laugh-out-loud comedy, a heart-warming tribute to a bygone age and a delicious drama about desperate men, connected by secrets and lies, by accidents of time and, most of all, the city they live in. I'm grateful to Orenda Books for sending me a free copy of the book to review as part of its promotional blogtour.